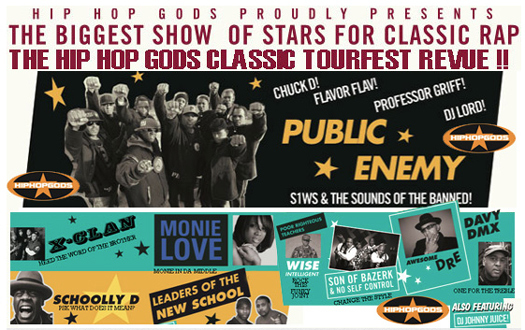 Brother Jesse Blog: The Hip-Hop Gods Tour! Final Call Interview with Hip-Hop Legend Chuck D: "My job is to provide service"
The Hip-Hop Gods Tour! Final Call Interview with Hip-Hop Legend Chuck D: "My job is to provide service"
CHICAGO (FinalCall.com) - For many, their first major hip-hop concert experience during what is nostalgically referred to as rap’s “Golden Age” featuredPublic Enemy. That is certainly true for me. My fondest hip-hop memories are from 1986 and 1987. I remember attending a concert at the U.I.C. Pavilion in Chicago one summer. My best friend at the time named Hershal Walton went with me. Because we were too young to drive, and because there had been well publicized fights at some of the previous tour stops, my father took us, and stayed for the concert. If my memory serves me correctly, the concert lineup featured all of the preeminent rappers of that time, P.E., RUN D.M.C., Whodini, L.L. Cool J, and if you can believe it, the opening act was Eric B. and Rakim. Rakim is now unquestionably one of the most respected and admired lyricists ever and considered one of the greats, but I remember at the concert, the crowd didn’t really know how to process it when they saw this young man (Rakim) with a blue and green sweat suit on—no dancers, no fireworks or props—just spittin’ lyrics. He was not yet known. Looking back, I now realize it was probably because of the scarcity of available hip-hop radio outlets here. ...I was fortunate enough to ride with Chuck D as he drove up I-94 (yes, he drove himself) in the pouring rain, on his way to catch a flight at O’Hare Airport. His plane was delayed, so I had an extra-long chance to talk to him about any and everything after we arrived at the airport. At 52, he is still active and opinionated and we discussed several different projects he is involved in. The interview took place after his spirited appearance on a panel discussing hip-hop and politics at Columbia University with hip-hop activists Jasiri X, Rosa Clemente, Biko Baker and moderated by Bakari Kitwana. He is aware of his honored role and stature as an elder and iconic hip-hop sage, and he appreciates the accolades, but first and foremost, he considers himself a servant of the people. “I’m a hip-hop service man. My job is to provide service. This is my military. 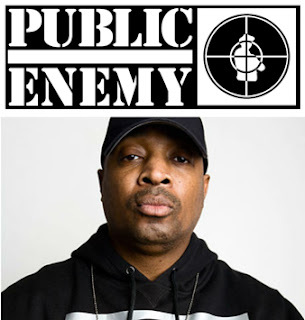 When people say thank you or stuff like that, these things have already been spoken by many, and maybe I process it a little different or whatever but it’s still in the direction of freedom,” said Chuck D.